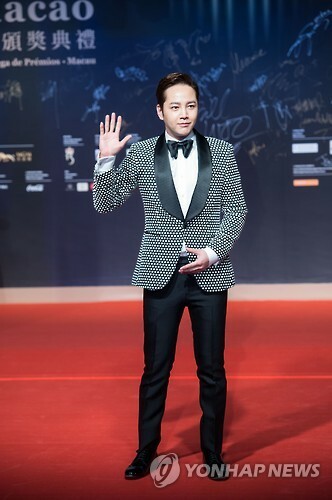 South Korean singer and actor Jang Keun-suk arrives on the red carpet for the 1st International Film Festival and Awards Macao in Macao, China, on Dec. 26, 2016. SEOUL, May 22 (Yonhap) — Actor Jang Keun-suk will return to Korea’s big screen with award-winning director Kim Ki-duk’s new film, his management agency said Monday. Tree J Co. said Jang has recently confirmed his appearance in “The Time of Humans.” It will be his first film in six years and first work with the auteur. Kim’s 23rd feature film is about a journey to get to the root of human beings while testing the limits of human emotions, morality and ethics.